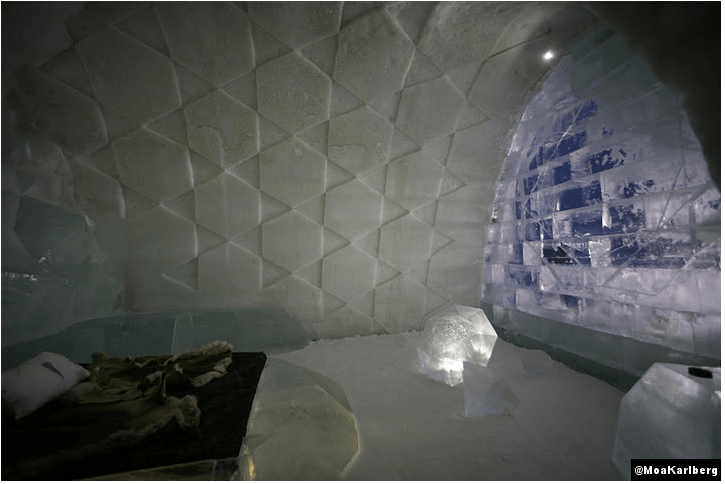 One of the places in my travel bucket list is staying in the ICEHOTEL in Swedish Lappland in Jukkasjärvi. 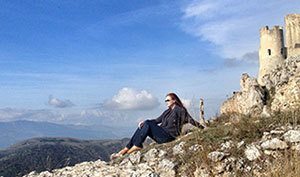 Jukkasjärvi is above the Arctic Circle, where they have only a few hours of daylight during the winter, and nightless nights during the summer. 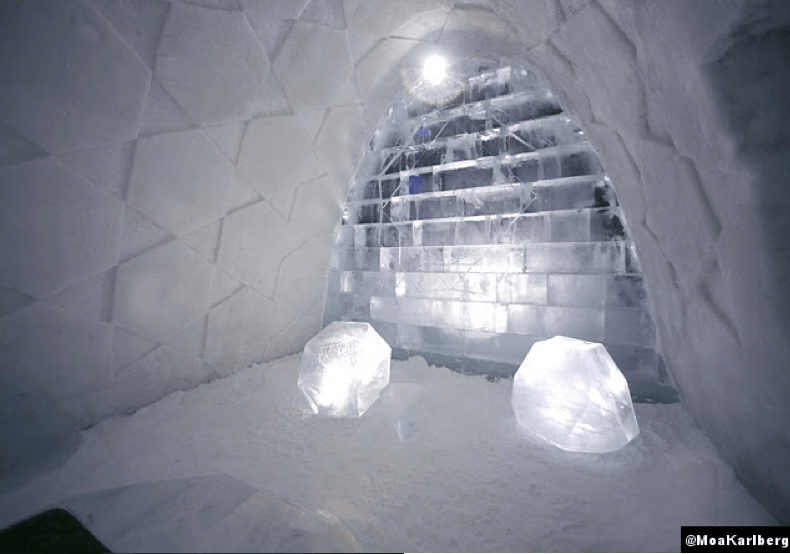 The ICEHOTEL is open for winter and this year for the first time also for the summer season. 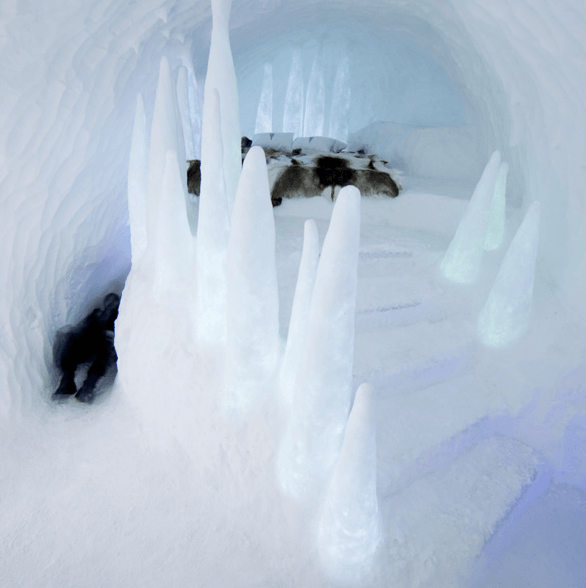 The current winter season is open until April 15, 2012 and the summer season starts on June 8 and lasts until August 18, and a smaller version of the hotel is built for the summer time, where you can experience the ICEHOTEL without the cold winter climate. 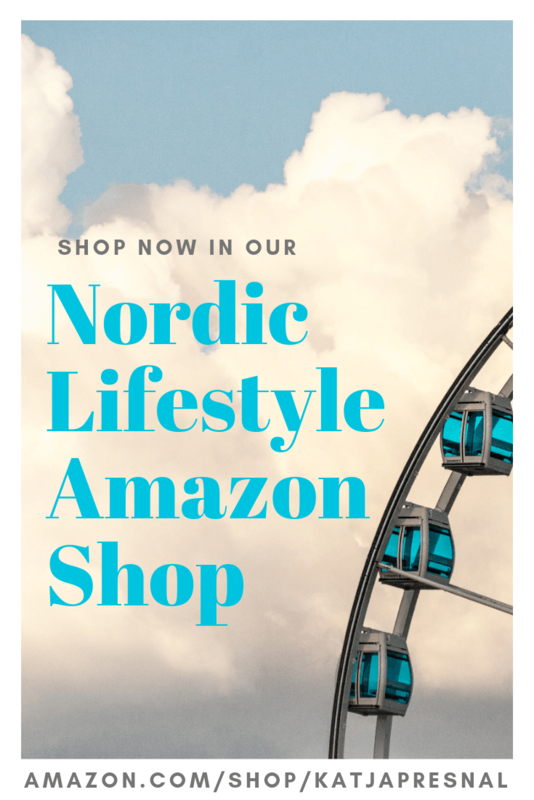 I have to say though – I would prefer winter time, winter time in Lapland is magical! 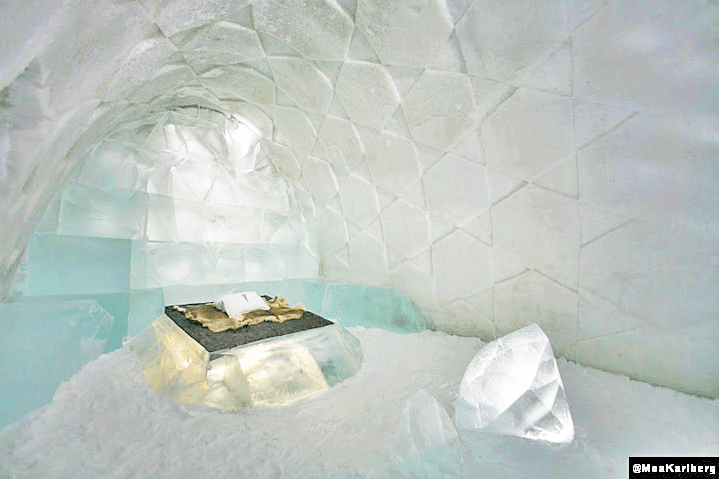 The rooms are entirely built from ice, and the hotel is rebuilt each year. When you are ready to go to sleep in your room, you are given a thermal sleeping bag, and warm thermal clothing and a hat is also recommended. Your luggage is storaged in a building close by, otherwise it would freeze in the hotel room’s 17F to 23F temperature. 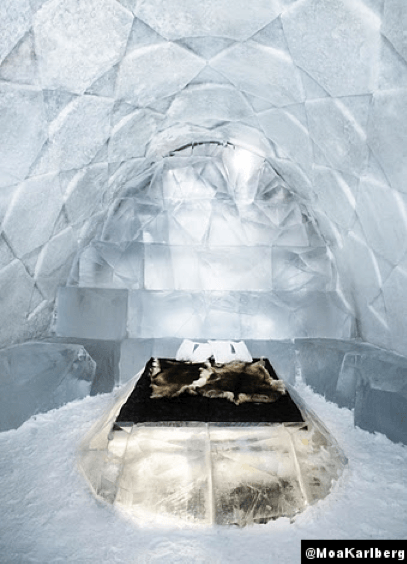 The hotel room beds are made of snow and ice on a wooden base, and you will sleep on reindeer skins. Around 7.30 am, you will be awaken by one of our guides and served hot lingonberry juice by the bed. 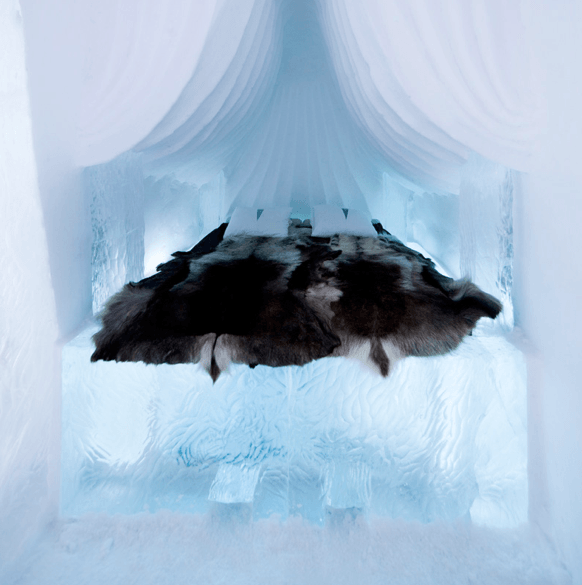 In the warm building, you can enjoy a warm morning sauna before going to ICEHOTEL Restaurant for breakfast. This all sounds heavenly to me! 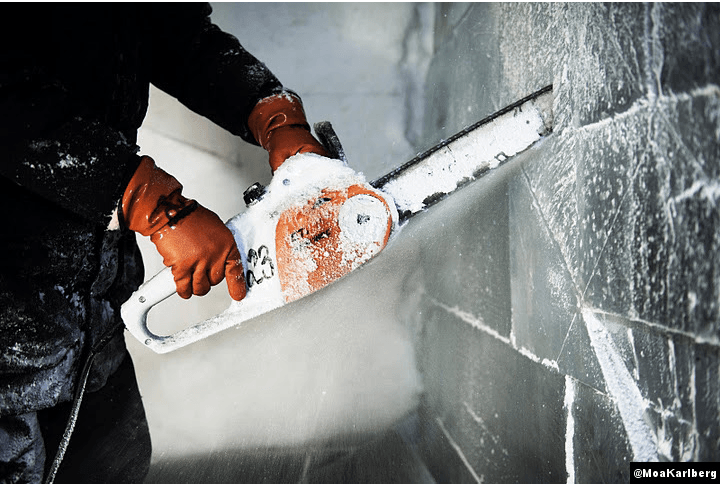 The ICEHOTEL has been built for 20 years now, and Jukkasjärvi gathers visitors from around the world to admire the silent and powerful winter wonderland with Northern Lights, and the ice sculptures and the unique experience ICEHOTEL has to offer. Each year the hotel is rebuilt and the hotel rooms are designed together with designers and architects around the world. 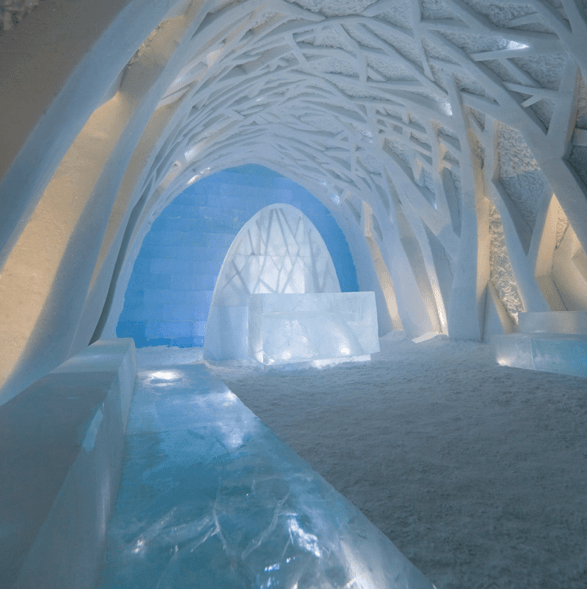 Among the designers are French artist and designer Antoine Weygand and architect Roland Toupet, who designed the “Diamond Genesis” room at the ICEHOTEL. Photographer Moa Karlberg took the following pictures of the magical room – enjoy. Just beautiful. I want to go there, too!